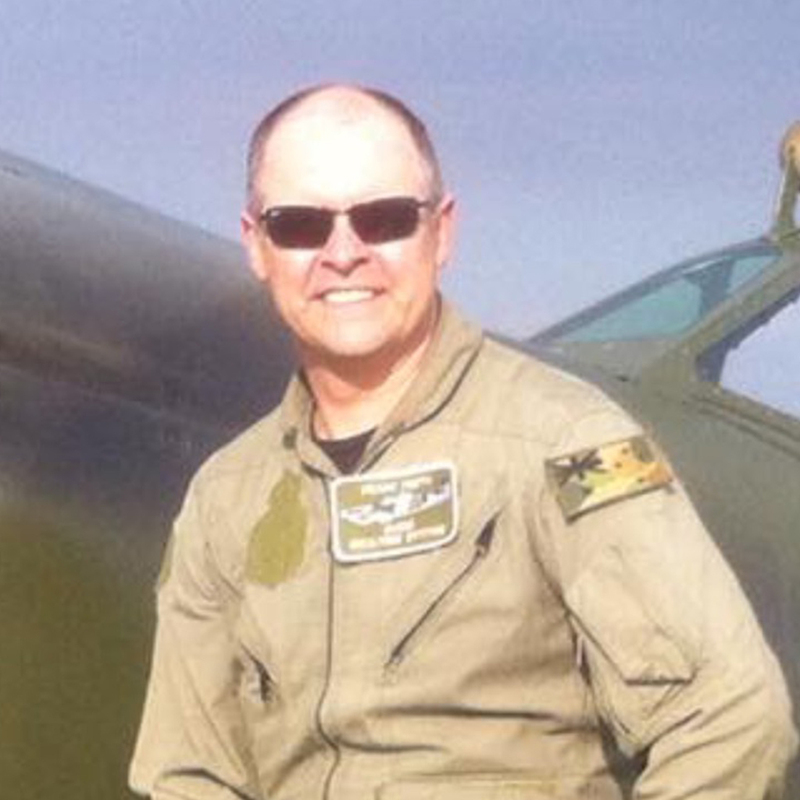 Captain Rod “Rocket” Hall heads up a highly experienced team of Professional Jet Pilots. Rod has vast experience in high performance aircraft with over 8000 hours command experience in single, multi-engine and jet aircraft in AU and overseas. 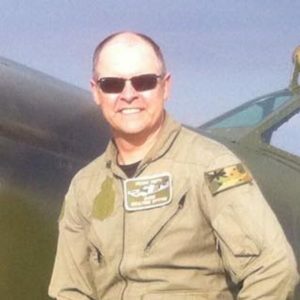 Captain Rod “Rocket” Hall heads up a highly experienced team of Professional Jet Pilots. 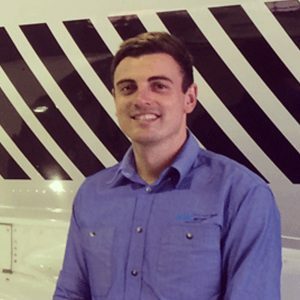 Rod has vast experience in high performance aircraft with over 8000 hours command experience in single, multi-engine and jet aircraft in Australia and overseas. He holds a current Command Instrument Rating and has trained with Military Instructors in Combat and Low Level Attack and is one of a rare breed who holds a current Aerobatic Low Level Jet Display Approval down to 500 feet above the ground. One of only four pilots in the world who has also competed and won the prestigious low level, high speed Pylon Racing Event in a multi – engine aircraft the Aerostar. Rod has gone on to feature at air-shows throughout Australia flying Low Level Fighter Combat Jet Displays. He has competed in the Australian Aerobatic Championships flying a Pitts Special and owned and operated several high performance Warbirds over the years. With over 4,000 adventure flights conducted in Australia, since 1996, Jet Fighter has a 100% safety record and has been held up by numerous Government agencies as an industry model. Rod in his role as the Managing Director has developed Customer Satisfaction, Aircraft Maintenance, Pilot Training, Security and Operational Procedures Policies that deliver the ultimate in Safety and Customer Satisfaction In the World Market. JetFighter has owned, maintained and operated the BAC MK5A PROVOST, EX-RAAF WINJEELS, EX-RAAF CT-4A, BAC 167 STRIKEMASTER, the L-39C ALBATROS, T-28 Trojan and Yak 52TW. 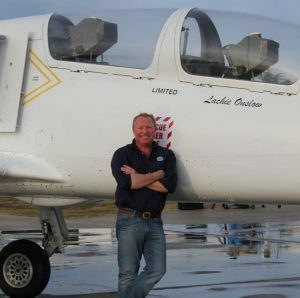 With a unique combination of aviation and business experience Rod has established JetFighter on the International stage as a World Class Adventure Flight Operation. In Australia Jet Fighter is clearly the NUMBER ONE Aviation Adventure Operator. Rodney operates out of the Port Macquarie and Lismore bases. 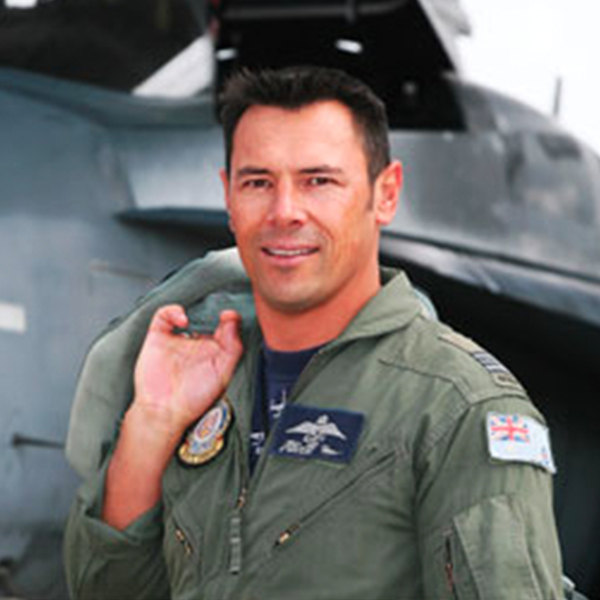 Easty joined the Royal New Zealand Air Force at the age of 18 and began flying jets at only 19 years of age. In 2002 he transferred to the Royal Australian Air Force where he is currently flying and instructing on the F/A-18 Hornet. His first operational posting was on the A4k Skyhawk based at RNZAF Base Ohakea. 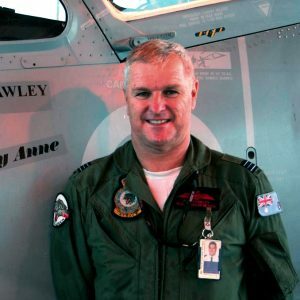 During his first tour on Skyhawks he exercised throughout SE Asia flying with the Royal Singapore, Malaysian, Thai and Indonesian Air Forces.In 1996 he went to the UK on exchange for 3 years with the Royal Air Force flying Jaguars. He conducted many exercises, operating the Jaguar in Norway (off the snow! ), Germany, Denmark, Italy, France, Malta, Spain, Jordan, Oman, USA, Canada and Alaska. Whilst flying with the RAF he was required to conduct operations in support of UN and NATO forces. In 2002 he transferred to the Royal Australian Air Force where he is currently flying and instructing on the F/A-18 Hornet. Easty has over 5000hrs military flying and will pretty much fly anything with wings. Military jet aircraft flown include; F/A18 Hornet, SEPCAT Jaguar, McDonald Douglas A4K Skyhawk, BAe Hawk Mk1 and 127, Aermacchi 339C and Albatros L-39C. 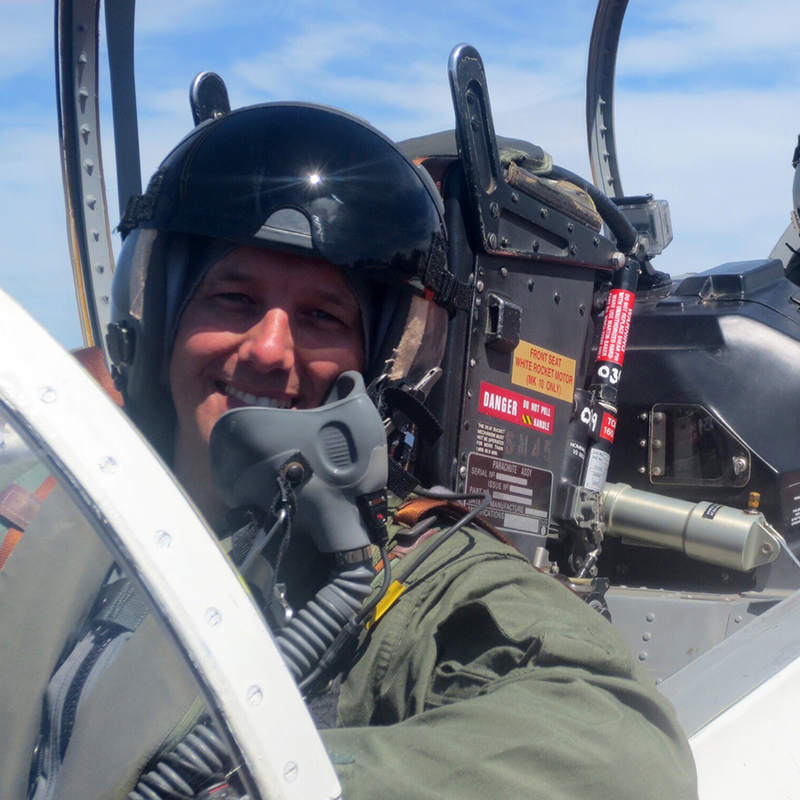 Easty enjoys the opportunity to give adventure seekers a small taste of military flying when conducting jet rides in the Strikemaster and L39 Albatross. 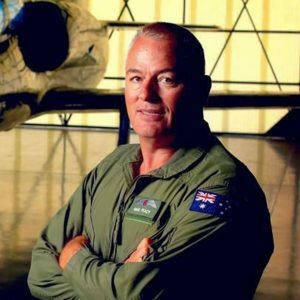 He is also a qualified low level aerobatic display pilot and enjoys show casing various aircraft at airshows around Australia. Easty is happily married to Gillian (his school sweet-heart!) and they are living in Nelson Bay with their 4 wonderful boys. Jason operates out of the Port Macquarie base. Phil “Frawles” is a qualified low-level demonstration pilot and has performed flight demonstrations for many years in various aircraft. He holds a civilian commercial pilots license with a civilian level two flying instructor rating. Aircraft flown include Winjeel prop trainer, Macchi jet trainer, C-130 Hercules transporter, Mirage jet fighter, Hornet jet fighter, MiG-15 jet fighter, MiG-21 jet fighter, Sabre jet fighter, Strikemaster jet trainer, Jet Provost jet trainer, L-39 Albatross jet trainer, Fokker DR-1 Triplane replica fighter, Tigermoth prop trainer, Chipmunk prop trainer, CT4 prop trainer, T-28 Trojan prop trainer, Kittyhawk prop fighter, Hawker Seafury prop fighter and TBM3 Avenger prop torpedo bomber. Apart from his passion for flying, Phil is a keen surfer and can often be seen around Newcastle beaches tearing the waves apart. He is married with two adult boys and lives with his wife in Merewether. Phil operates out of the Port Macquarie base. Kim has been flying since 1964. 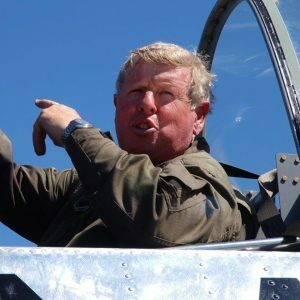 He has now taken 3500 people for flights in the T28 Trojan and is Australia’s most experienced T28 pilot. Kim was a board member of the Australian Warbird for 16 years and past president for 3 years. Kim operates out of the Brisbane base. 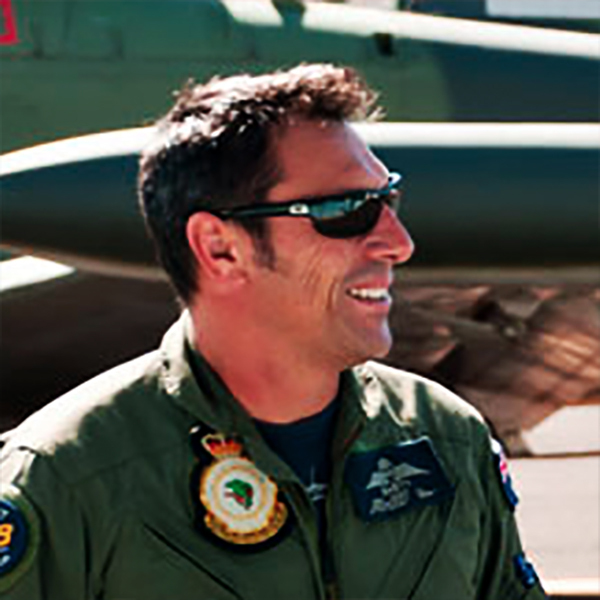 Craig Wilcockson is currently an Avionics Technicion for the RAAF. During his career in the Air Force he has worked on the MB326 Macchi, F111 Aardvaark, P3 Orion and is currently serving on the C17A Globemaster aircraft. “Wilco” has maintained a passion for all things Aviation from a very young age and his passion extends to, not only piloting the aircraft, but also to maintaining the aircraft.e is currently a serving member of the Royal Australian Air Force employed as an Avionics Technician. During his career in the Air Force he has worked on the MB326 Macchi, F111 Aardvaark, P3 Orion and is currently serving on the C17A Globemaster aircraft. Craig operates out of the Brisbane base. 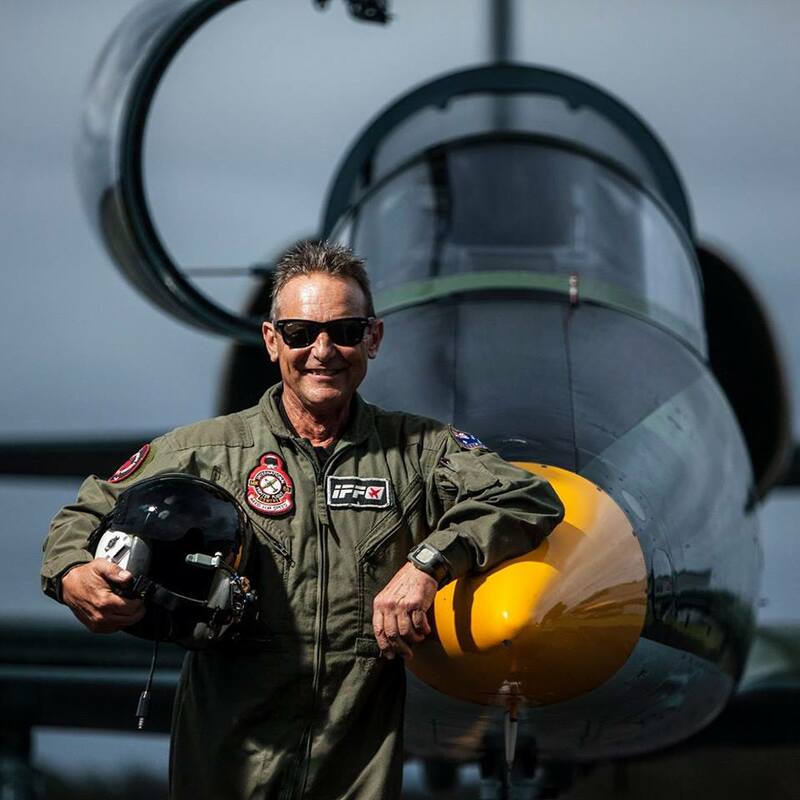 As a professional low level Jet Fighter Airshow Display Pilot and Flight Instructor, Mark Is the only certified Australian pilot to race the L39 Albatros in the Fastest Motor Sport on Earth, the Reno Air Races in the Nevada Desert. Captain Mark Pracy was born in Sydney Australia and started his flying career in 1986. Mark has since provided thousands of dream flights for many Top Gun passengers from all over the world, as a professional low level Jet Fighter Airshow Display Pilot and Flight Instructor Mark Is the only certified Australian pilot to race the L39 Albatros in the Fastest Motor Sport on Earth, the Reno Air Races in the Nevada Desert. Jet Flight Australia has purchased another L-39 in the USA and will be competing in the Jet Class Race in 2011. Aviation expertise comes from flying more than one type of operation . 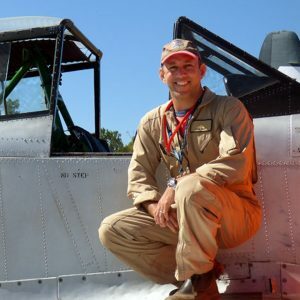 Mark’s experience has allowed him to fly professionally at airshows, flight training, flight testing antique aircraft also high performance multi engine aircraft and now Air Racing in the USA. Mark operates out of the Hunter Valley base. Mark has flown in numerous air shows and is a qualified lead pilot in 2- and 4-ship formation flight as well as aerobatics. He has the combination of experience and enthusiasm to ensure your flight is an adventure like no other! Mark Awad is one of those individuals who was “born to fly”! He is passionate about all aspects of aviation but has a particular interest in Warbirds, such as the CA-25 Winjeel. Mark is a Licensed Commercial Pilot in both Australia and the United States, where he also holds an Instrument Rating. 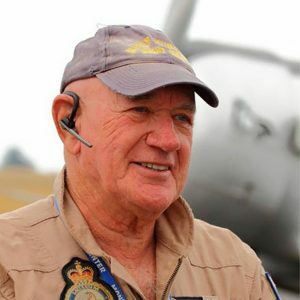 He is very active as a leader in the Australian Warbirds Association, which is the body delegated by the Civil Aviation Safety Authority to administer all Warbird flight operations in Australia. Mark operates out of the Byron Bay base. CHIEF PILOT MIKE FALLS SR.
Mike has been a display pilot for many years on jet and piston aircraft, and is a Foundation Member of Australian Warbirds. Chief Pilot, Shortstop Jet Charter. Air Transport Pilot Licence, current on Falcon 900/Lear 30 series/DC-3/Merlin IIIB/Harvard/L-39. 22,000 flight hours, on more than fifty different aircraft. Mike operates out of the Melbourne base. Brenton is the new generation, embracing all involved in bringing the wonder of military aviation to you in the L-39. Senior line pilot, Shortstop Jet Charter. Air Transport Pilot Licence, current on Falcon 900/Lear 30 series/DC-3/Merlin IIIB/L-39. 2,000+ flight hours, mostly on turbine aircraft. Brenton operates out of the Melbourne base. Air Transport Pilot Licence, current on Airbus A380/Spitfire/Harvard/L-39. He’s in charge of all our official CASA/AWAL compliance and approval matters, and is delighted at the prospect of sharing his passion for the L-39 with you. Frank operates out of the Melbourne base. Lachie started his professional aviation career at the age of 18 as a helicopter mustering pilot in northern Western Australia. Lachie now owns and operates 2 helicopter companies Fleet Helicopters in Armidale and Commercial Helicopters in Mudgee. Lachie also operates Fleet Warbirds in Armidale and offers Adventure rides in a Stearman biplane, T6 Texan and L39 Jet. In 2009 Lachie headed over the the USA to compete in the F1 class at the Reno Air Races in the Nevada Desert. Lachie spent 2 seasons racing the F1’s and then moved into the Jet Class Racing a TS-11 Iskra Jet for 5 seasons and is now currently racing a L39 in the fastest race on earth. Lachie has over 11000 hours of low level helicopter and fixed wing experience and has competed in more Reno air races than any other Australian in history. 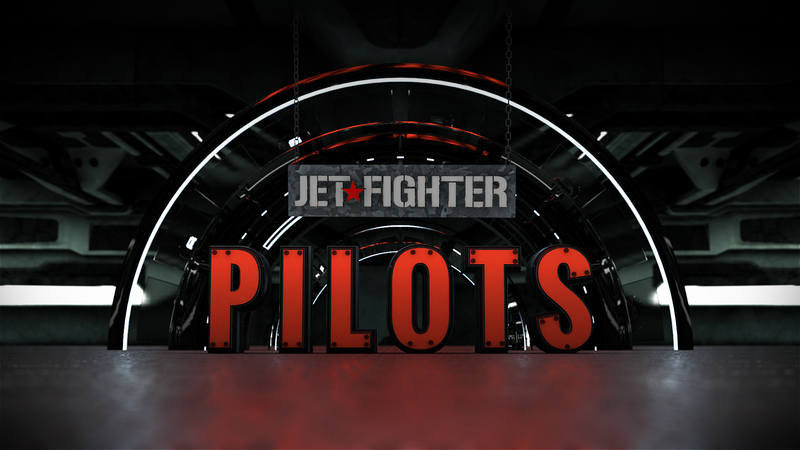 For a Jet Fighter experience of a lifetime, call us today! Jetfighter commenced operations since 1996 under the guidance of Captain Rodney Hall.